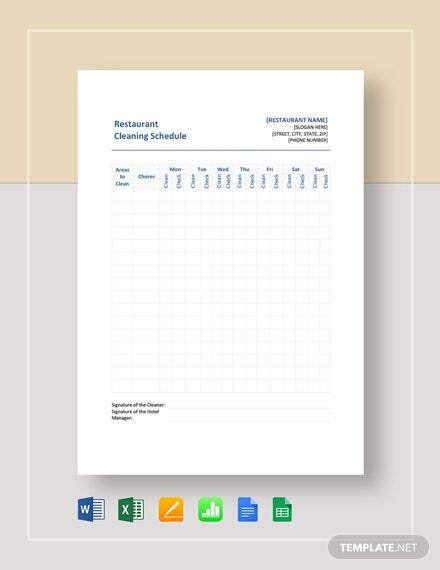 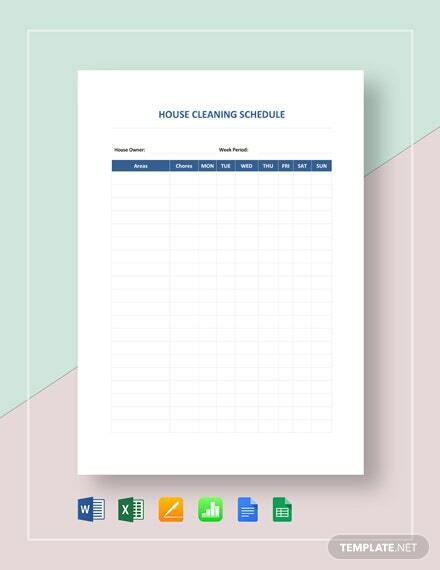 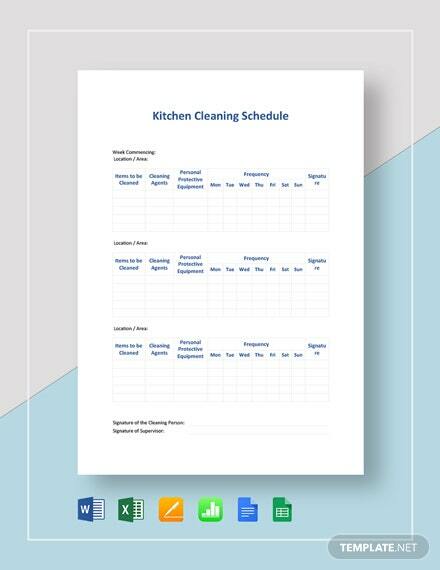 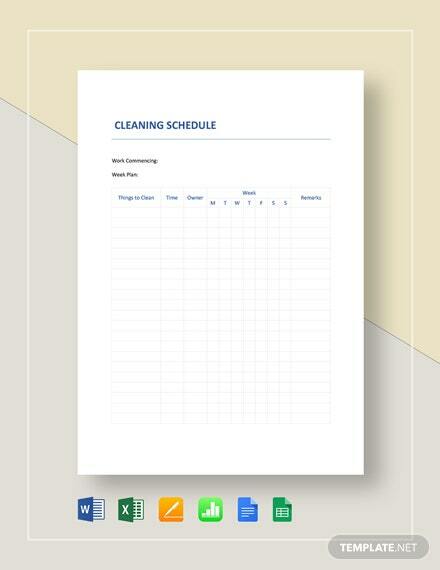 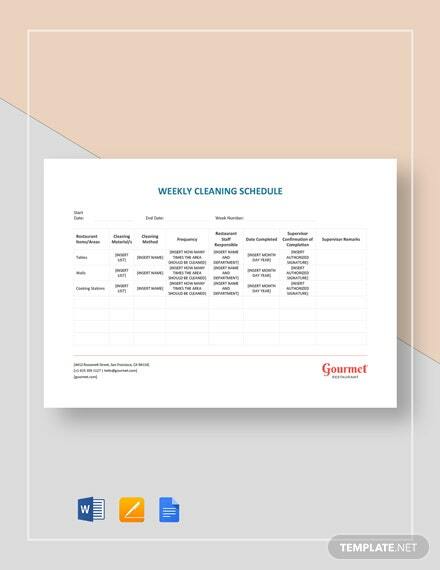 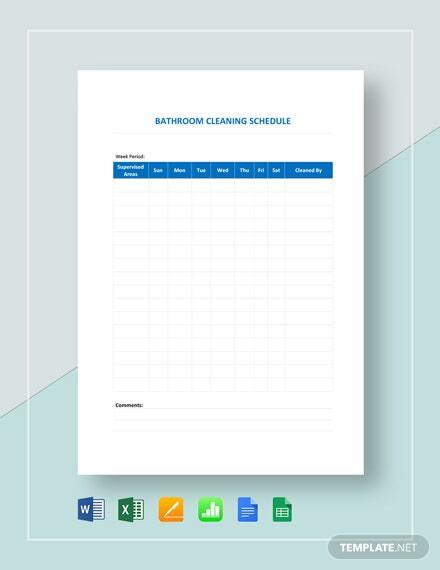 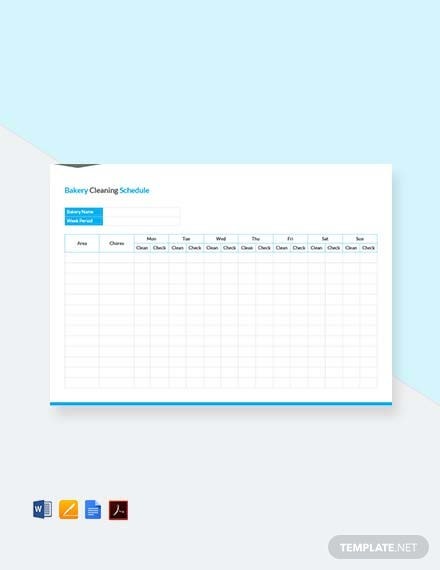 Quickly create cleaning schedules for your establishment with this Bakery Cleaning Schedule Template. 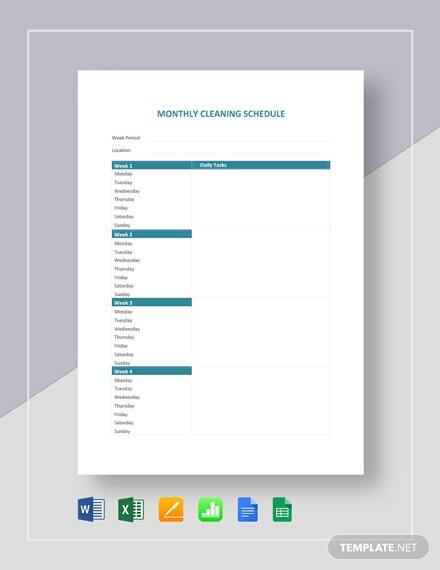 Simply click on the download button to get this free, ready made template with text and content you can easily +More edit using Pages or MS Word applications. 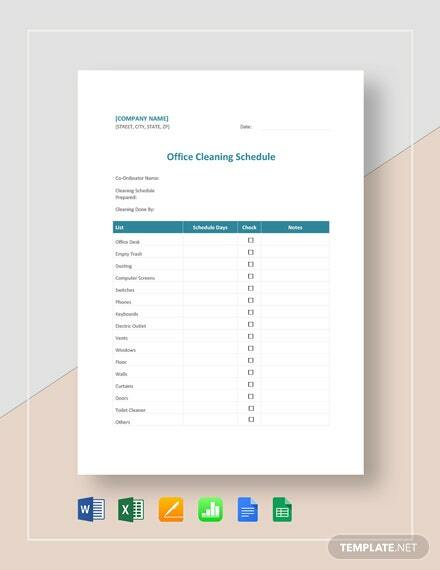 Get it now along with a standard license and fonts.